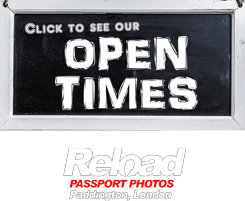 Reload Internet is a professional passport photo studio situated in Paddington, London, where we are able to provide your Czech passport photo or visa photo. 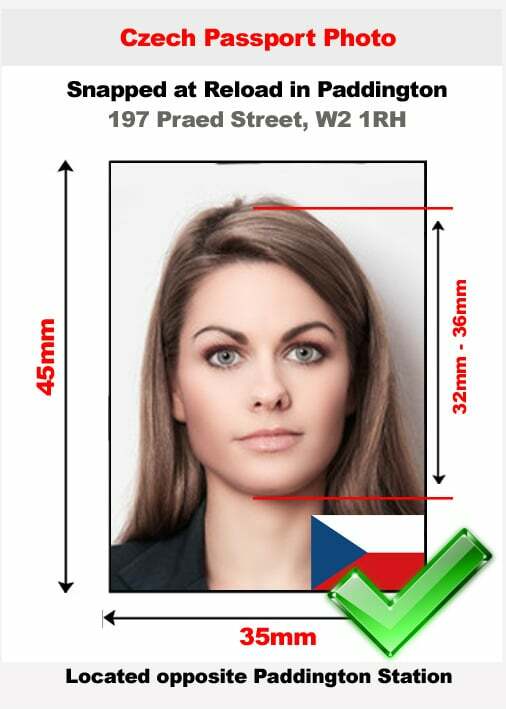 We ensure that your photos comply with the new biometric standards set by the Embassy of the Czech Republic and this takes only a few minutes in our store. The video below shows our efficiency with Czech passport photo and visa photos. Our advice to you is that you don’t take chances with your passport or visa application, as small details such as the background of your photograph can cause your passport or visa application to be declined and you will have to restart the process. Make sure you have high quality photos so as to increase your chances of being accepted at the embassy, and only professional passport photo studios such as Reload Internet can ensure this will happen. You are most likely going to encounter delays, stress and unplanned expenses if you submit non-compliant photos. Choose Reload Internet today to obtain the correct Czech passport photo and visa photos so you can eliminate the possibility of your application being declined. Your photo must not be older than 6 months and must clearly identify you, so that when entering the Czech Republic you do not encounter any problems. Using excessive make-up or anything that could alter the features of your face should be avoided. We recommend that you remove glasses if you wear them as the frames and lenses can cause issue with the photographs which may cause them to be declined at the Embassy of the Czech Republic. The original photograph must be good quality with a high print finish, and this will only take a few minutes to produce at Reload Internet in Paddington. If your photo fails to meet the above specifications, it’s most likely going to be rejected by the Embassy of the Czech Republic. At Reload Internet it’s our job to make sure this is not the case with your application. We receive our specifications directly from the official Embassy of the Czech Republic which can be found here.